Kanoo Automotive Equipment (KAE), a division of Ebrahim K Kanoo and a leading company for automotive equipment in Bahrain, has added industrial equipment to its portfolio and rebranded itself as Kanoo Automotive & Industrial Equipment (KAIE). The expansion into the industrial equipment segment signifies further progress for the company, which carries over 35 brands and is known for its high quality after-sales service, said a company statement. 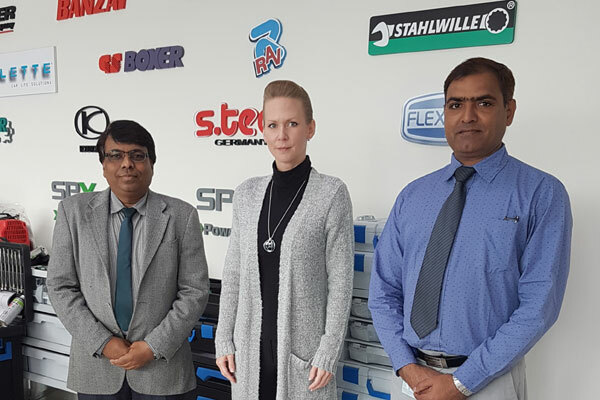 “Our approach was always to partner with industrial leaders to ensure that our customers consistently get premium quality products from us,” said KAIE sales manager Sudhindra Kalibhat. “The rebranding shows our commitment to this segment and its significance to our portfolio of services, which are guaranteed to have Ebrahim K Kanoo’s trademark reputation of top quality service before, during, and after sales,” he said. KAIE has partnered with renowned global suppliers, including leading crane and hoisting equipment company SWF Krantechnik; infrastructure equipment supplier SPX Power Team, SPX Bolting Systems; international shutter door supplier Butzbach and many other industrial and automotive equipment suppliers.